The sun rises, dimming the stars. 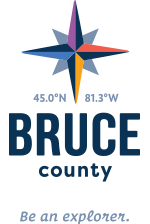 It ignites a tantalizing start to a perfect Bruce County Lakeshore experience. When you search out your playful side on our sandy beaches, you'll rediscover your own inner child jumping perfectly timed waves as your family shrieks with laughter. Find a sense of peace that only the rhythmic sound of the lake can bring. Along this majestic expanse of water and sand lie quaint villages and shops. They tease and tantalize, with unique eateries and soon-to-be-friends that lure you from the shore. You return at sunset, for what is always the most spectacular salute to a day that has been very well spent.